"Alex, Oklahoma, was named in honor of W.V. “Uncle Red” Alexander, who came to the Alex area in 1878 after serving in the Civil War as Captain of the Second Cherokee Regiment under Confederate General Stand Watie. Through his marriage to a Chickasaw tribal member, Alexander controlled a large tract of Indian Territory’s Washita Valley, where Alex would be born. Alexander’s original home was located a half-mile west of Alex, on Soldier Creek. In 1885, the first Alex post office was established in Alexander’s trading post near his home. The town was officially incorporated in 1910. Alexander died in his home on January 23, 1920. In this 100th year of Oklahoma statehood, this marker stands as a permanent memorial to every pioneer, cowboy or Indian, man, woman or child, who braved the wild and empty prairie to raise this small town. This is a tribute to generations of Alex families who raised the cattle, crops and produce, pumped Oklahoma Sweet Crude, nurtured our bodies, hearts and minds with the ideas of hope, health and freedom, built our railroads and bridges, and ensured our commerce and prosperity. They are our history, our present and our future." Photo albums of the 1958 and 1968 Alex School yearsbooks were uploaded to the Library page. Copies of the Alex Tribune continue to be uploaded to the Alex Tribune page. Articles of Incorporation for the First State Bank of Alex were added to the Alex Banks page. A separate Maps page was created and Sanborn Fire Insurance maps of Alex for 1916 and 1930 were added there. A new photo and a custom Google search bar were added to the home page.A link to the Facebook group, Alex History, Memories Old and New, was added to the home page. The menu bar was updated on all pages. A new Library section was added containing the entire text of Christine Peters' book, "Alex: A Brief History of the School, Class Members and Graduates; The People of Alex: Past and Present.". A second photo of the Alexander home was added to the Before Statehood page. A name change filing document was added to the Alex Cemetery page. In these pages, you will find snapshots of a time long past. The before and after statehood pages of this site describe what life was like in Alex, Oklahoma, during these times. Like other towns, Alex has its institutions - the school, bank, post office and churches - and these are chronicled here as well. The photo galleries contain the oldest known pictures of the town of Alex and the local resources archive will soon offer information about areas close to Alex. Enjoy your visit! 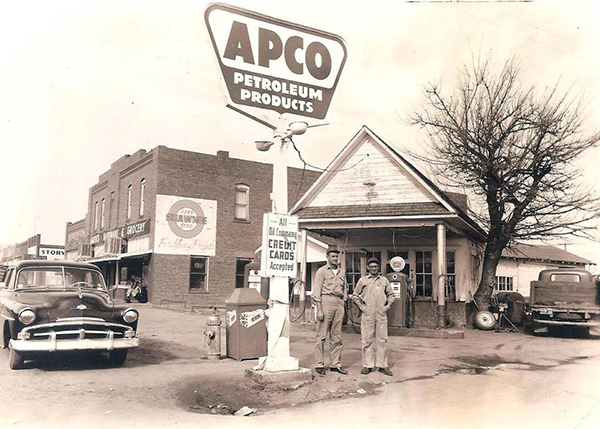 If you have historical information about the Alex area, old photos of Alex or can date photos or identify persons in photos, we would appreciate the information. Please email the webmaster at Webmaster@AlexOklahoma.net. All photos hosted on this site have been reduced in size to allow them to load as quickly as possible in web browsers. Reducing the size of a photo unfortunately lessens its detail. Many of the oldest photos of Alex were scanned to digital format in very high resolutions and prints are available for viewing at the Alex Community Center. Contact the webmaster at the above email address to view or make copies of the digital files. Many, many long-time Alex residents and others helped preserve our local history as documented in this website to ensure that we all have an opportunity to know a little about where we come from. We thank you! Many thanks to the family of Alex resident Christine Peters for allowing the use of her book, "Alex: A Brief History of the School, Class Members and Graduates; The People of Alex: Past and Present." Thanks to Pat Cunningham, director of the Grady County Historical Society, for her contributions to this project. Please visit the Grady County Historical Society here. Thanks, also, to Alex residents Karen Foster Beam, Melinda Patterson Boatwright, Shirley Horn Bray, Twyla Carr, Faye Stuard Hess, Sue Manning Moore, Scott Niles and Joann Wyatt for the information and support they provided for this site. Most of all, thanks to Elanna Chitwood for donating the domain AlexOklahoma.net to host the Alex History site and other websites related to Alex, Oklahoma.